There were nearly a dozen mathematically-themed comic strips among what I’d read, and they almost but not quite split mid-week. Better, they include one of my favorite ever mathematics strips from Charles Schulz’s Peanuts . Jimmy Halto’s Little Iodine for the 4th of December, 1956 was rerun the 2nd of February. Little Iodine seeks out help with what seems to be story problems. The rate problem — “if it takes one man two hours to plow seven acros, how long will it take five men and a horse to … ” — is a kind I remember being particularly baffling. I think it’s the presence of three numbers at once. It seems easy to go from, say, “if you go two miles in ten minutes, how long will it take to go six miles?” to an answer. To go from “if one person working two hours plows seven acres then how long will five men take to clear fourteen acres” to an answer seems like a different kind of problem altogether. It’s a kind of problem for which it’s even wiser than usual to carefully list everything you need. Jimmy Halto’s Little Iodine for the 2nd of December, 1956 and rerun the 4th of February, 2018. It’s the rare Little Iodine where she doesn’t get her father fired! Kieran Meehan’s Pros and Cons for the 5th of February, 2018. I grant the art is a bit less sophisticated than in Little Iodine . But the choice of two features to run outside the panels and into the white gutters is an interesting one and I’m not sure what Meehan is going for in choosing one word balloon and the judge’s hand to run into the space like that. Charles Schulz’s Peanuts for the 5th of February reruns the strip from the 8th of February, 1971. And it is some of the best advice about finding the values of x and y, and about approaching algebra, that I have ever encountered. Mort Walker and Dik Browne’s Hi and Lois for the 10th of August, 1960 was rerun the 6th of February, 2018. And I do like Trixie’s look of bafflement in the last panel there; it’s more expressive than seems usual for the comic even in its 1960s design. John Zakour and Scott Roberts’s Maria’s Day for the 7th is Ms Payne’s disappointed attempt at motivating mathematics. I imagine she’d try going on if it weren’t a comic strip limited to two panels. The end of the (US) semester snuck up on me but, in my defense, I’m not teaching this semester. If you know someone who needs me to teach, please leave me a note. But as a service for people who are just trying to figure out exactly how much studying they need to do for their finals, knock it off. You’re not playing a video game. It’s not like you can figure out how much effort it takes to get an 83.5 on the final and then put the rest of your energy into your major’s classes. But it’s a question people ask, and keep asking, so here’s my answers. This essay describes exactly how to figure out what you need, given whatever grade you have and whatever extra credit you have and whatever the weighting of the final exam is and all that. That might be more mechanism than you need. If you’re content with an approximate answer, here’s some tables for common finals weightings, and a selection of pre-final grades. For those not interested in grade-grubbing, here’s some old-time radio. Vic and Sade was a longrunning 15-minute morning radio program written with exquisite care by Paul Rhymer. It’s not going to be to everyone’s taste. But if it is yours, it’s going to be really yours: a tiny cast of people talking not quite past one another while respecting the classic Greek unities. Part of the Overnightscape Underground is the Vic and Sadecast, which curates episodes of the show, particularly trying to explain the context of things gone by since 1940. This episode, from October 1941, is aptly titled “It’s Algebra, Uncle Fletcher”. Neither Vic nor Sade are in the episode, but their son Rush and Uncle Fletcher are. And they try to work through high school algebra problems. I’m tickled to hear Uncle Fletcher explaining mathematics homework. I hope you are too. Once more do I have Gaurish to thank for the day’s topic. (There’ll be two more chances this week, providing I keep my writing just enough ahead of deadline.) This one doesn’t touch category theory or topology. I keep touching on group theory here. It’s a field that’s about what kinds of things can work like arithmetic does. A group is a set of things that you can add together. At least, you can do something that works like adding regular numbers together does. A ring is a set of things that you can add and multiply together. There are many interesting rings. Here’s one. It’s called the Gaussian Integers. They’re made of numbers we can write as , where ‘a’ and ‘b’ are some integers. is what you figure, that number that multiplied by itself is -1. These aren’t the complex-valued numbers, you notice, because ‘a’ and ‘b’ are always integers. But you add them together the way you add complex-valued numbers together. That is, plus is the number . And you multiply them the way you multiply complex-valued numbers together. That is, times is the number . We created something that has addition and multiplication. It picks up subtraction for free. It doesn’t have division. We can create rings that do, but this one won’t, any more than regular old integers have division. But we can ask what other normal-arithmetic-like stuff these Gaussian integers do have. For instance, can we factor numbers? This isn’t an obvious one. No, we can’t expect to be able to divide one Gaussian integer by another. But we can’t expect to divide a regular old integer by another, not and get an integer out of it. That doesn’t mean we can’t factor them. It means we divide the regular old integers into a couple classes. There’s prime numbers. There’s composites. There’s the unit, the number 1. There’s zero. We know prime numbers; they’re 2, 3, 5, 7, and so on. Composite numbers are the ones you get by multiplying prime numbers together: 4, 6, 8, 9, 10, and so on. 1 and 0 are off on their own. Leave them there. We can’t divide any old integer by any old integer. But we can say an integer is equal to this string of prime numbers multiplied together. This gives us a handle by which we can prove a lot of interesting results. We can do the same with Gaussian integers. We can divide them up into Gaussian primes, Gaussian composites, units, and zero. The words mean what they mean for regular old integers. A Gaussian composite can be factored into the multiples of Gaussian primes. Gaussian primes can’t be factored any further. If we know what the prime numbers are for regular old integers we can tell whether something’s a Gaussian prime. Admittedly, knowing all the prime numbers is a challenge. But a Gaussian integer will be prime whenever a couple simple-to-test conditions are true. First is if ‘a’ and ‘b’ are both not zero, but is a prime number. So, for example, is a Gaussian prime. You might ask, hey, would also be a Gaussian prime? That’s also got components that are integers, and the squares of them add up to a prime number (41). Well-spotted. Gaussian primes appear in quartets. If is a Gaussian prime, so is . And so are and . There’s another group of Gaussian primes. These are the numbers where either ‘a’ or ‘b’ is zero. Then the other one is, if positive, three more than a whole multiple of four. If it’s negative, then it’s three less than a whole multiple of four. So ‘3’ is a Gaussian prime, as is -3, and as is and so is . This has strange effects. Like, ‘3’ is a prime number in the regular old scheme of things. It’s also a Gaussian prime. But familiar other prime numbers like ‘2’ and ‘5’? Not anymore. Two is equal to ; both of those terms are Gaussian primes. Five is equal to . There are similar shocking results for 13. But, roughly, the world of composites and prime numbers translates into Gaussian composites and Gaussian primes. In this slightly exotic structure we have everything familiar about factoring numbers. You might have some nagging thoughts. Like, sure, two is equal to . But isn’t it also equal to ? One of the important things about prime numbers is that every composite number is the product of a unique string of prime numbers. Do we have to give that up for Gaussian integers? Good nag. But no; the doubt is coming about because you’ve forgotten the difference between “the positive integers” and “all the integers”. If we stick to positive whole numbers then, yeah, (say) ten is equal to two times five and no other combination of prime numbers. But suppose we have all the integers, positive and negative. Then ten is equal to either two times five or it’s equal to negative two times negative five. Or, better, it’s equal to negative one times two times negative one times five. Or suffix times any even number of negative ones. Remember that bit about separating ‘one’ out from the world of primes and composites? That’s because the number one screws up these unique factorizations. You can always toss in extra factors of one, to taste, without changing the product of something. If we have positive and negative integers to use, then negative one does almost the same trick. We can toss in any even number of extra negative ones without changing the product. This is why we separate “units” out of the numbers. They’re not part of the prime factorization of any numbers. For the Gaussian integers there are four units. 1 and -1, and . They are neither primes nor composites, and we don’t worry about how they would otherwise multiply the number of factorizations we get. But let me close with a neat, easy-to-understand puzzle. It’s called the moat-crossing problem. In the regular old integers it’s this: imagine that the prime numbers are islands in a dangerous sea. You start on the number ‘2’. Imagine you have a board that can be set down and safely crossed, then picked up to be put down again. Could you get from the start and go off to safety, which is infinitely far away? If your board is some, fixed, finite length? No, you can’t. The problem amounts to how big the gap between one prime number and the next largest prime number can be. It turns out there’s no limit to that. That is, you give me a number, as small or as large as you like. I can find some prime number that’s more than your number less than its successor. There are infinitely large gaps between prime numbers. Gaussian primes, though? Since a Gaussian prime might have nearest neighbors in any direction? Nobody knows. We know there are arbitrarily large gaps. Pick a moat size; we can (eventually) find a Gaussian prime that’s at least that far away from its nearest neighbors. But this does not say whether it’s impossible to get from the smallest Gaussian primes — and its companions and on — infinitely far away. We know there’s a moat of width 6 separating the origin of things from infinity. We don’t know that there’s bigger ones. You’re not going to solve this problem. Unless I have more brilliant readers than I know about; if I have ones who can solve this problem then I might be too intimidated to write anything more. But there is surely a pleasant pastime, maybe a charming game, to be made from this. Try finding the biggest possible moats around some set of Gaussian prime island. Ellen Gethner, Stan Wagon, and Brian Wick’s A Stroll Through the Gaussian Primes describes this moat problem. It also sports some fine pictures of where the Gaussian primes are and what kinds of moats you can find. If you don’t follow the reasoning, you can still enjoy the illustrations. Gaurish, of the For The Love Of Mathematics gives me another subject today. It’s one that isn’t about ellipses. Sad to say it’s also not about elliptic integrals. This is sad to me because I have a cute little anecdote about a time I accidentally gave my class an impossible problem. I did apologize. No, nobody solved it anyway. Here, ‘A’ and ‘B’ are some numbers that don’t change for this particular curve. Also, we need it to be true that doesn’t equal zero. It avoids problems. What we’ll be looking at are coordinates, values of ‘x’ and ‘y’ together which make this equation true. That is, it’s points on the curve. If you pick some real numbers ‘A’ and ‘B’ and draw all the values of ‘x’ and ‘y’ that make the equation true you get … well, there’s different shapes. They all look like those microscope photos of a water drop emerging and falling from a tap, only rotated clockwise ninety degrees. So. Pick any of these curves that you like. Pick a point. I’m going to name your point ‘P’. Now pick a point once more. I’m going to name that point ‘Q’. Now draw a line from P through Q. Keep drawing it. It’ll cross the original elliptic curve again. And that point is … not actually special. What is special is the reflection of that point. That is, the same x-coordinate, but flip the plus or minus sign for the y-coordinate. (WARNING! Do not call it “the reflection” at your thesis defense! Call it the “conjugate” point. It means “reflection”.) 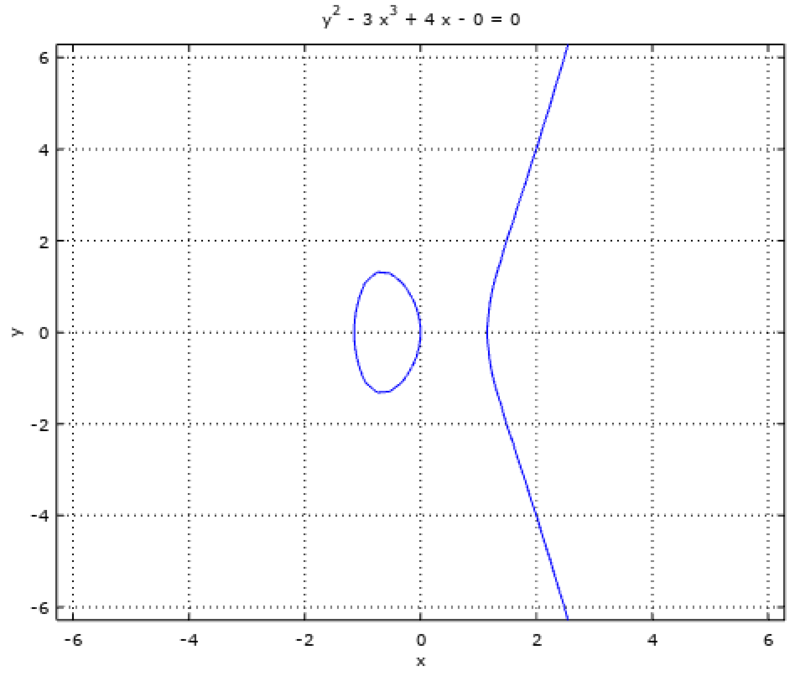 Your elliptic curve will be symmetric around the x-axis. If, say, the point with x-coordinate 4 and y-coordinate 3 is on the curve, so is the point with x-coordinate 4 and y-coordinate -3. So that reflected point is … something special.
. The water drop bulges out from the surface. This lets us do something wonderful. We can think of this reflected point as the sum of your ‘P’ and ‘Q’. You can ‘add’ any two points on the curve and get a third point. This means we can do something that looks like addition for points on the elliptic curve. 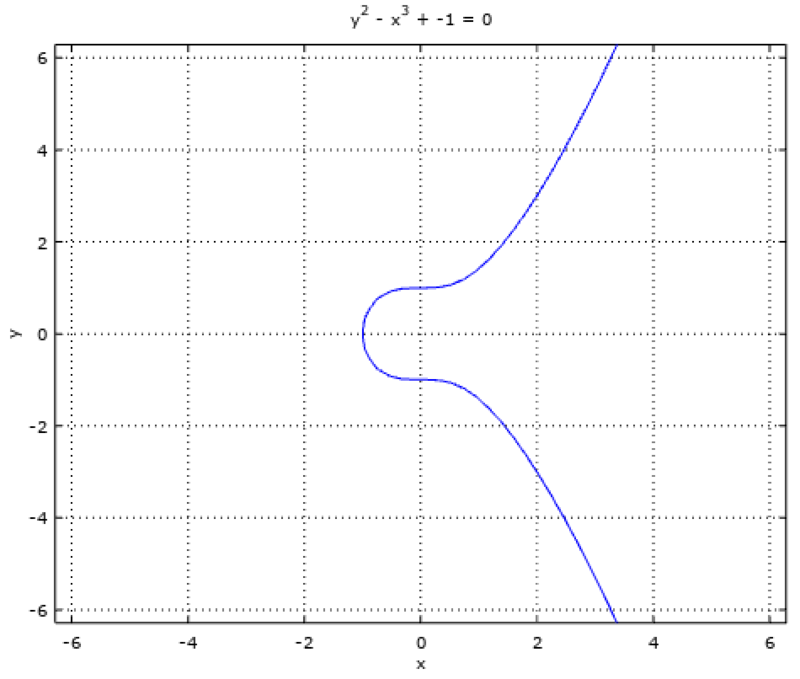 And this means the points on this curve are a group, and we can bring all our group-theory knowledge to studying them. It’s a commutative group, too; ‘P’ added to ‘Q’ leads to the same point as ‘Q’ added to ‘P’. Let me head off some clever thoughts that make fair objections. What if ‘P’ and ‘Q’ are already reflections, so the line between them is vertical? That never touches the original elliptic curve again, right? Yeah, fair complaint. We patch this by saying that there’s one more point, ‘O’, that’s off “at infinity”. Where is infinity? It’s wherever your vertical lines end. Shut up, this can too be made rigorous. In any case it’s a common hack for this sort of problem. When we add that, everything’s nice. The ‘O’ serves the role in this group that zero serves in arithmetic: the sum of point ‘O’ and any point ‘P’ is going to be ‘P’ again. Second clever thought to head off: what if ‘P’ and ‘Q’ are the same point? There’s infinitely many lines that go through a single point so how do we pick one to find an intersection with the elliptic curve? Huh? If you did that, then we pick the tangent line to the elliptic curve that touches ‘P’, and carry on as before.
. The water drop is close to breaking off, but surface tension has not yet pinched off the falling form. There’s more. What kind of number is ‘x’? Or ‘y’? I’ll bet that you figured they were real numbers. You know, ordinary stuff. I didn’t say what they were, so left it to our instinct, and that usually runs toward real numbers. Those are what I meant, yes. But we didn’t have to. ‘x’ and ‘y’ could be in other sets of numbers too. They could be complex-valued numbers. They could be just the rational numbers. They could even be part of a finite collection of possible numbers. As the equation is something meaningful (and some technical points are met) we can carry on. The elliptical curves, and the points we “add” on them, might not look like the curves we started with anymore. They might not look like anything recognizable anymore. But the logic continues to hold. We still create these groups out of the points on these lines intersecting a curve. By now you probably admit this is neat stuff. You may also think: so what? We can take this thing you never thought about, draw points and lines on it, and make it look very loosely kind of like just adding numbers together. Why is this interesting? No appreciation just for the beauty of the structure involved? Well, we live in a fallen world. It comes back to number theory. The modern study of Diophantine equations grows out of studying elliptic curves on the rational numbers. It turns out the group of points you get for that looks like a finite collection of points with some collection of integers hanging on. How long that collection of numbers is is called the ‘rank’, and there are deep mysteries at work. We know there are elliptic equations that have a rank as big as 28. Nobody knows if the rank can be arbitrary high, though. And I believe we don’t even know if there are any curves with rank of, like, 27, or 25. Yeah, I’m still sensing skepticism out there. Fine. We’ll go back to the only part of number theory everybody agrees is useful. Encryption. We have roughly the same goals for every encryption scheme. We want it to be easy to encode a message. We want it to be easy to decode the message if you have the key. We want it to be hard to decode the message if you don’t have the key.
. The water drop is almost large enough that its weight overcomes the surface tension holding it to the main body of water. Take something inside one of these elliptic curve groups. Especially one that’s got a finite field. Let me call your thing ‘g’. It’s really easy for you, knowing what ‘g’ is and what your field is, to raise it to a power. You can pretty well impress me by sharing the value of ‘g’ raised to some whole number ‘m’. Call that ‘h’. Why am I impressed? Because if all I know is ‘h’, I have a heck of a time figuring out what ‘g’ is. Especially on these finite field groups there’s no obvious connection between how big ‘h’ is and how big ‘g’ is and how big ‘m’ is. Start with a big enough finite field and you can encode messages in ways that are crazy hard to crack.
. The water drop has broken off, and the remaining surface rebounds to its normal meniscus. If there’s a solution to Fermat’s Last Theorem, then this elliptic equation can’t be modular. I don’t have enough words to explain what ‘modular’ means here. Andrew Wiles and Richard Taylor showed that the equation was modular. So there is no solution to Fermat’s Last Theorem except the boring ones. (Like, where ‘b’ is zero and ‘a’ and ‘c’ equal each other.) 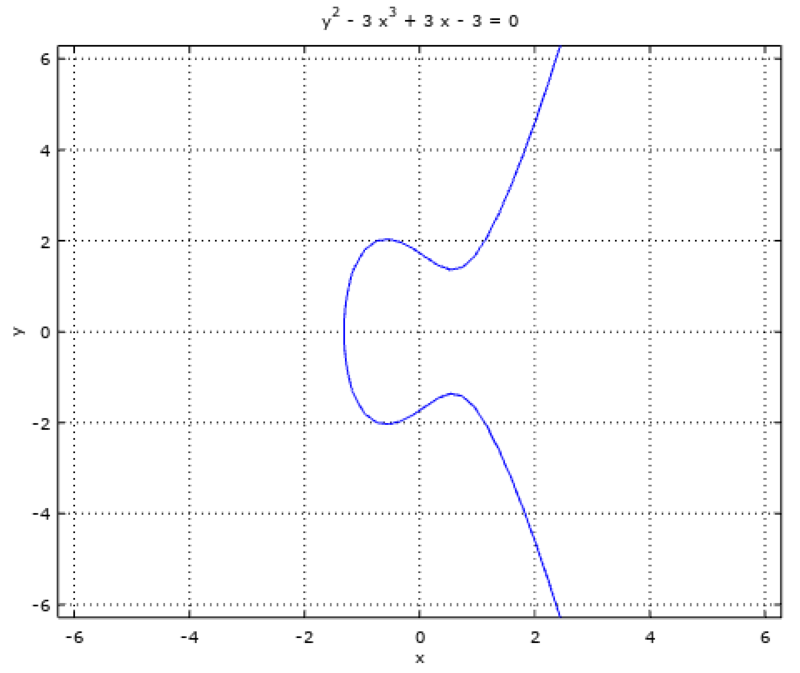 And it all comes from looking close at these neat curves, none of which looks like an ellipse. They’re named elliptic curves because we first noticed them when Carl Jacobi — yes, that Carl Jacobi — while studying the length of arcs of an ellipse. That’s interesting enough on its own. But it is hard. Maybe I could have fit in that anecdote about giving my class an impossible problem after all. Today’s A To Z topic is another request from Gaurish, of the For The Love Of Mathematics blog. Also part of what looks like a quest to make me become a topology blogger, at least for a little while. It’s going to be exciting and I hope not to faceplant as I try this. 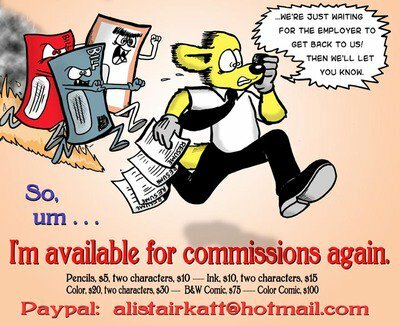 Also, a note about Thomas K Dye, who’s drawn the banner art for this and for the Why Stuff Can Orbit series: the publisher for collections of his comic strip is having a sale this weekend. The word looks intimidating, and faintly of technobabble. It’s less cryptic than it appears. We see parts of it in non-mathematical contexts. In biology class we would see “homology”, the sharing of structure in body parts that look superficially very different. We also see it in art class. The instructor points out that a dog’s leg looks like that because they stand on their toes. What looks like a backward-facing knee is just the ankle, and if we stand on our toes we see that in ourselves. We might see it in chemistry, as many interesting organic compounds differ only in how long or how numerous the boring parts are. The stuff that does work is the same, or close to the same. And this is a hint to what a mathematician means by cohomology. It’s something in shapes. It’s particularly something in how different things might have similar shapes. Yes, I am using a homology in language here. I often talk casually about the “shape” of mathematical things. Or their “structures”. This sounds weird and abstract to start and never really gets better. We can get some footing if we think about drawing the thing we’re talking about. Could we represent the thing we’re working on as a figure? Often we can. Maybe we can draw a polygon, with the vertices of the shape matching the pieces of our mathematical thing. We get the structure of our thing from thinking about what we can do to that polygon without changing the way it looks. Or without changing the way we can do whatever our original mathematical thing does. This leads us to homologies. We get them by looking for stuff that’s true even if we moosh up the original thing. The classic homology comes from polyhedrons, three-dimensional shapes. There’s a relationship between the number of vertices, the number of edges, and the number of faces of a polyhedron. It doesn’t change even if you stretch the shape out longer, or squish it down, for that matter slice off a corner. It only changes if you punch a new hole through the middle of it. Or if you plug one up. That would be unsporting. A homology describes something about the structure of a mathematical thing. It might even be literal. Topology, the study of what we know about shapes without bringing distance into it, has the number of holes that go through a thing as a homology. This gets feeling like a comfortable, familiar idea now. But that isn’t a cohomology. That ‘co’ prefix looks dangerous. At least it looks significant. When the ‘co’ prefix has turned up before it’s meant something is shaped by how it refers to something else. Coordinates aren’t just number lines; they’re collections of number lines that we can use to say where things are. If ‘a’ is a factor of the number ‘x’, its cofactor is the number you multiply ‘a’ by in order to get ‘x’. (For real numbers that’s just x divided by a. For other stuff it might be weirder.) A codomain is a set that a function maps a domain into (and must contain the range, at least). Cosets aren’t just sets; they’re ways we can divide (for example) the counting numbers into odds and evens. So what’s the ‘co’ part for a homology? I’m sad to say we start losing that comfortable feeling now. We have to look at something we’re used to thinking of as a process as though it were a thing. These things are morphisms: what are the ways we can match one mathematical structure to another? Sometimes the morphisms are easy. We can match the even numbers up with all the integers: match 0 with 0, match 2 with 1, match -6 with -3, and so on. Addition on the even numbers matches with addition on the integers: 4 plus 6 is 10; 2 plus 3 is 5. For that matter, we can match the integers with the multiples of three: match 1 with 3, match -1 with -3, match 5 with 15. 1 plus -2 is -1; 3 plus -6 is -9. What happens if we look at the sets of matchings that we can do as if that were a set of things? That is, not some human concept like ‘2’ but rather ‘match a number with one-half its value’? And ‘match a number with three times its value’? These can be the population of a new set of things. And these things can interact. Suppose we “match a number with one-half its value” and then immediately “match a number with three times its value”. Can we do that? … Sure, easily. 4 matches to 2 which goes on to 6. 8 matches to 4 which goes on to 12. Can we write that as a single matching? Again, sure. 4 matches to 6. 8 matches to 12. -2 matches to -3. We can write this as “match a number with three-halves its value”. We’ve taken “match a number with one-half its value” and combined it with “match a number with three times its value”. And it’s given us the new “match a number with three-halves its value”. These things we can do to the integers are themselves things that can interact. This is a good moment to pause and let the dizziness pass. It isn’t just you. There is something weird thinking of “doing stuff to a set” as a thing. And we have to get a touch more abstract than even this. We should be all right, but please do not try not to use this to defend your thesis in category theory. Just use it to not look forlorn when talking to your friend who’s defending her thesis in category theory. Now, we can take this collection of all the ways we can relate one set of things to another. And we can combine this with an operation that works kind of like addition. Some way to “add” one way-to-match-things to another and get a way-to-match-things. There’s also something that works kind of like multiplication. It’s a different way to combine these ways-to-match-things. This forms a ring, which is a kind of structure that mathematicians learn about in Introduction to Not That Kind Of Algebra. There are many constructs that are rings. The integers, for example, are also a ring, with addition and multiplication the same old processes we’ve always used. And just as we can sort the integers into odds and evens — or into other groupings, like “multiples of three” and “one plus a multiple of three” and “two plus a multiple of three” — so we can sort the ways-to-match-things into new collections. And this is our cohomology. It’s the ways we can sort and classify the different ways to manipulate whatever we started on. I apologize that this sounds so abstract as to barely exist. I admit we’re far from a nice solid example such as “six”. But the abstractness is what gives cohomologies explanatory power. We depend very little on the specifics of what we might talk about. And therefore what we can prove is true for very many things. It takes a while to get there, is all. Comic Strip Master Command sent me a slow week in mathematical comics. I suppose they knew I was on somehow a busier schedule than usual and couldn’t spend all the time I wanted just writing. I appreciate that but don’t want to see another of those weeks when nothing qualifies. Just a warning there. John Rose’s Barney Google and Snuffy Smith for the 12th of December, 2016. I appreciate the desire to pay attention to continuity that makes Rose draw in the coffee cup both panels, but Snuffy Smith has to swap it from one hand to the other to keep it in view there. Not implausible, just kind of busy. Also I can’t fault Jughaid for looking at two pages full of unillustrated text and feeling lost. That’s some Bourbaki-grade geometry going on there. 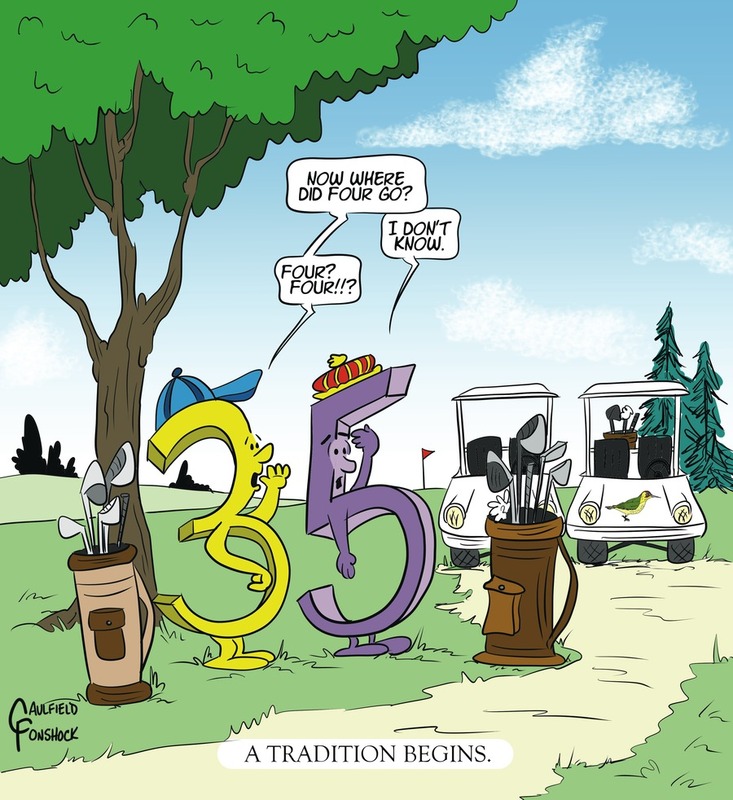 John Rose’s Barney Google and Snuffy Smith for the 12th is a bit of mathematical wordplay. It does use geometry as the “hard mathematics we don’t know how to do”. That’s a change from the usual algebra. And that’s odd considering the joke depends on an idiom that is actually used by real people. Patrick Roberts’s Todd the Dinosaur for the 12th uses mathematics as the classic impossibly hard subject a seven-year-old can’t be expected to understand. The worry about fractions seems age-appropriate. I don’t know whether it’s fashionable to give elementary school students experience thinking of ‘x’ and ‘y’ as numbers. I remember that as a time when we’d get a square or circle and try to figure what number fits in the gap. It wasn’t a 0 or a square often enough. Patrick Roberts’s Todd the Dinosaur for the 12th of December, 2016. Granting that Todd’s a kid dinosaur and that T-Rexes are not renowned for the hugeness of their arms, wouldn’t that still be enough space for a lot of text to fit around? I would have thought so anyway. I feel like I’m pluralizing ‘T-Rex’ wrong, but what would possibly be right? ‘Ts-rex’? Don’t make me try to spell tyrannosaurus. Jef Mallett’s Frazz for the 12th uses one of those great questions I think every child has. And it uses it to question how we can learn things from statistical study. This is circling around the “Bayesian” interpretation of probability, of what odds mean. It’s a big idea and I’m not sure I’m competent to explain it. It amounts to asking what explanations would be plausibly consistent with observations. As we get more data we may be able to rule some cases in or out. It can be unsettling. It demands we accept right up front that we may be wrong. But it lets us find reasonably clean conclusions out of the confusing and muddy world of actual data. Sam Hepburn’s Questionable Quotebook for the 14th illustrates an old observation about the hypnotic power of decimal points. I think Hepburn’s gone overboard in this, though: six digits past the decimal in this percentage is too many. It draws attention to the fakeness of the number. One, two, maybe three digits past the decimal would have a more authentic ring to them. I had thought the John Allen Paulos tweet above was about this comic, but it’s mere coincidence. Funny how that happens. And now I can finish off last week’s mathematically-themed comic strips. There’s a strong theme to them, for a refreshing change. It would almost be what we’d call a Comics Synchronicity, on Usenet group rec.arts.comics.strips, had they all appeared the same day. Some folks claiming to be open-minded would allow a Synchronicity for strips appearing on subsequent days or close enough in publication, but I won’t have any of that unless it suits my needs at the time. Ernie Bushmiller’s for the 6th would fit thematically better as a Cameo Edition comic. It mentions arithmetic but only because it’s the sort of thing a student might need a cheat sheet on. I can’t fault Sluggo needing help on adding eight or multiplying by six; they’re hard. Not remembering 4 x 2 is unusual. But everybody has their own hangups. The strip originally ran the 6th of December, 1949. Bill holbrook’s On The Fastrack for the 7th of December, 2016. Don’t worry about the people in the first three panels; they’re just temps, and weren’t going to appear in the comic again. Bill holbrook’s On The Fastrack for the 7th seems like it should be the anthropomorphic numerals joke for this essay. It doesn’t seem to quite fit the definition, but, what the heck. Brian Boychuk and Ron Boychuk’s The Chuckle Brothers on the 7th starts off the run of E = mc2 jokes for this essay. This one reminds me of Gary Larson’s Far Side classic with the cleaning woman giving Einstein just that little last bit of inspiration about squaring things away. It shouldn’t surprise anyone that E equalling m times c squared isn’t a matter of what makes an attractive-looking formula. There’s good reasons when one thinks what energy and mass are to realize they’re connected like that. Einstein’s famous, deservedly, for recognizing that link and making it clear. Mark Pett’s Lucky Cow rerun for the 7th has Claire try to use Einstein’s famous quote to look like a genius. The mathematical content is accidental. It could be anything profound yet easy to express, and it’s hard to beat the economy of “E = mc2” for both. I’d agree that it suggests Claire doesn’t know statistics well to suppose she could get a MacArthur “Genius” Grant by being overheard by a grant nominator. On the other hand, does anybody have a better idea how to get their attention? Harley Schwadron’s 9 to 5 for the 8th completes the “E = mc2” triptych. Calling a tie with the equation on it a power tie elevates the gag for me. I don’t think of “E = mc2” as something that uses powers, even though it literally does. I suppose what gets me is that “c” is a constant number. It’s the speed of light in a vacuum. So “c2” is also a constant number. In form the equation isn’t different from “E = m times seven”, and nobody thinks of seven as a power. Morrie Turner’s Wee Pals rerun for the 8th is a bit of mathematics wordplay. It’s also got that weird Morrie Turner thing going on where it feels unquestionably earnest and well-intentioned but prejudiced in that way smart 60s comedies would be. Mort Walker’s vintage Beetle Bailey for the 18th of May, 1960. Rerun the 9th of December, 2016. For me the really fascinating thing about ancient Beetle Bailey strips is that they could run today with almost no changes and yet they feel like they’re from almost a different cartoon universe from the contemporary comic. I don’t know how that is, or why it is. Mort Walker’s Beetle Bailey for the 18th of May, 1960 was reprinted on the 9th. It mentions mathematics — algebra specifically — as the sort of thing intelligent people do. I’m going to take a leap and suppose it’s the sort of algebra done in high school about finding values of ‘x’ rather than the mathematics-major sort of algebra, done with groups and rings and fields. I wonder when holding a mop became the signifier of not just low intelligence but low ambition. It’s subverted in Jef Mallet’s Frazz , the title character of which works as a janitor to support his exercise and music habits. But it is a standard prop to signal something. Today’s is one of my requested mathematics terms. This one comes to us from group theory, by way of Gaurish, and as ever I’m thankful for the prompt. It’s hard to learn from an example. Examples are great, and I wouldn’t try teaching anything subtle without one. Might not even try teaching the obvious without one. But a single example is dangerous. The learner has trouble telling what parts of the example are the general lesson to learn and what parts are just things that happen to be true for that case. Having several examples, of different kinds of things, saves the student. The thing in common to many different examples is the thing to retain. The mathematics major learns group theory in Introduction To Not That Kind Of Algebra , MAT 351. A group extracts the barest essence of arithmetic: a bunch of things and the ability to add them together. So what’s an example? … Well, the integers do nicely. What’s another example? … Well, the integers modulo two, where the only things are 0 and 1 and we know 1 + 1 equals 0. What’s another example? … The integers modulo three, where the only things are 0 and 1 and 2 and we know 1 + 2 equals 0. How about another? … The integers modulo four? Modulo five? All true. All, also, basically the same thing. The whole set of integers, or of real numbers, are different. But as finite groups, the integers modulo anything are nice easy to understand groups. They’re known as Cyclic Groups for reasons I’ll explain if asked. But all the Cyclic Groups are kind of the same. So how about another example? And here we get some good ones. There’s the Permutation Groups. These are fun. You start off with a set of things. You can label them anything you like, but you’re daft if you don’t label them the counting numbers. So, say, the set of things 1, 2, 3, 4, 5. Start with them in that order. A permutation is the swapping of any pair of those things. So swapping, say, the second and fifth things to get the list 1, 5, 3, 4, 2. The collection of all the swaps you can make is the Permutation Group on this set of things. The things in the group are not 1, 2, 3, 4, 5. The things in the permutation group are “swap the second and fifth thing” or “swap the third and first thing” or “swap the fourth and the third thing”. You maybe feel uneasy about this. That’s all right. I suggest playing with this until you feel comfortable because it is a lot of fun to play with. Playing in this case mean writing out all the ways you can swap stuff, which you can always do as a string of swaps of exactly two things. So the student wanting examples of groups can get the Permutation Group on three elements. Or the Permutation Group on four elements. The Permutation Group on five elements. … You kind of see, this is certainly different from those Cyclic Groups. But they’re all kind of like each other. An “Alternating Group” is one where all the elements in it are an even number of permutations. So, “swap the second and fifth things” would not be in an alternating group. But “swap the second and fifth things, and swap the fourth and second things” would be. And so the student needing examples can look at the Alternating Group on two elements. Or the Alternating Group on three elements. The Alternating Group on four elements. And so on. It’s slightly different from the Permutation Group. It’s certainly different from the Cyclic Group. But still, if you’ve mastered the Alternating Group on five elements you aren’t going to see the Alternating Group on six elements as all that different. Cyclic Groups and Alternating Groups have some stuff in common. Permutation Groups not so much and I’m going to leave them in the above paragraph, waving, since they got me to the Alternating Groups I wanted. One is that they’re finite. At least they can be. I like finite groups. I imagine students like them too. It’s nice having a mathematical thing you can write out in full and know you aren’t missing anything. The second thing is that they are, or they can be, “simple groups”. That’s … a challenge to explain. This has to do with the structure of the group and the kinds of subgroup you can extract from it. It’s very very loosely and figuratively and do not try to pass this off at your thesis defense kind of like being a prime number. In fact, Cyclic Groups for a prime number of elements are simple groups. So are Alternating Groups on five or more elements. So we get to wondering: what are the finite simple groups? Turns out they come in four main families. One family is the Cyclic Groups for a prime number of things. One family is the Alternating Groups on five or more things. One family is this collection called the Chevalley Groups. Those are mostly things about projections: the ways to map one set of coordinates into another. We don’t talk about them much in Introduction To Not That Kind Of Algebra . They’re too deep into Geometry for people learning Algebra. The last family is this collection called the Twisted Chevalley Groups, or the Steinberg Groups. And they .. uhm. Well, I never got far enough into Geometry I’m Guessing to understand what they’re for. I’m certain they’re quite useful to people working in the field of order-three automorphisms of the whatever exactly D4 is. And that’s it. That’s all the families there are. If it’s a finite simple group then it’s one of these. … Unless it isn’t. Some of these cases have some resemblance to one another. But not enough to see them as a family the way the Cyclic Groups are. We bundle all these together in a wastebasket taxon called “the sporadic groups”. The first five of them were worked out in the 1860s. The last of them was worked out in 1980, seven years after its existence was first suspected. The sporadic groups all have weird sizes. The smallest one, known as M11 (for “Mathieu”, who found it and four of its siblings in the 1860s) has 7,920 things in it. They get enormous soon after that. The biggest of the sporadic groups, and the last one described, is the Monster Group. It’s known as M. It has a lot of things in it. In particular it’s got 808,017,424,794,512,875,886,459,904,961,710,757,005,754,368,000,000,000 things in it. So, you know, it’s not like we’ve written out everything that’s in it. We’ve just got descriptions of how you would write out everything in it, if you wanted to try. And you can get a good argument going about what it means for a mathematical object to “exist”, or to be “created”. There are something like 1054 things in it. That’s something like a trillion times a trillion times the number of stars in the observable universe. Not just the stars in our galaxy, but all the stars in all the galaxies we could in principle ever see. It’s one of the rare things for which “Brobdingnagian” is an understatement. Everything about it is mind-boggling, the sort of thing that staggers the imagination more than infinitely large things do. We don’t really think of infinitely large things; we just picture “something big”. A number like that one above is definite, and awesomely big. Just read off the digits of that number; it sounds like what we imagine infinity ought to be. We can make a chart, called the “character table”, which describes how subsets of the group interact with one another. The character table for the Monster Group is 194 rows tall and 194 columns wide. The Monster Group can be represented as this, I am solemnly assured, logical and beautiful algebraic structure. It’s something like a polyhedron in rather more than three dimensions of space. In particular it needs 196,884 dimensions to show off its particular beauty. I am taking experts’ word for it. I can’t quite imagine more than 196,883 dimensions for a thing. And it’s a thing full of mystery. This creature of group theory makes us think of the number 196,884. The same 196,884 turns up in number theory, the study of how integers are put together. It’s the first non-boring coefficient in a thing called the j-function. It’s not coincidence. This bit of number theory and this bit of group theory are bound together, but it took some years for anyone to quite understand why. There are more mysteries. The character table has 194 rows and columns. Each column implies a function. Some of those functions are duplicated; there are 171 distinct ones. But some of the distinct ones it turns out you can find by adding together multiples of others. There are 163 distinct ones. 163 appears again in number theory, in the study of algebraic integers. These are, of course, not integers at all. They’re things that look like complex-valued numbers: some real number plus some (possibly other) real number times the square root of some specified negative number. They’ve got neat properties. Or weird ones. You know how with integers there’s just one way to factor them? Like, fifteen is equal to three times five and no other set of prime numbers? Algebraic integers don’t work like that. There’s usually multiple ways to do that. There are exceptions, algebraic integers that still have unique factorings. They happen only for a few square roots of negative numbers. The biggest of those negative numbers? Minus 163. I don’t know if this 163 appearance means something. As I understand the matter, neither does anybody else. There is some link to the mathematics of string theory. That’s an interesting but controversial and hard-to-experiment-upon model for how the physics of the universe may work. But I don’t know string theory well enough to say what it is or how surprising this should be. The Monster Group creates a monster essay. I suppose it couldn’t do otherwise. I suppose I can’t adequately describe all its sublime mystery. Dr Mark Ronan has written a fine web page describing much of the Monster Group and the history of our understanding of it. He also has written a book, Symmetry and the Monster , to explain all this in greater depths. I’ve not read the book. But I do mean to, now. I told you that Image thing would reappear. Meanwhile I learned something about myself in writing this. I want to talk about functions again. I’ve been keeping like a proper mathematician to a nice general idea of what a function is. The sort where a function’s this rule matching stuff in a set called the domain with stuff in a set called the range. And I’ve tried not to commit myself to saying anything about what that domain and range are. They could be numbers. They could be other functions. They could be the set of DVDs you own but haven’t watched in more than two years. They could be collections socks. Haven’t said. But we know what functions anyone cares about. They’re stuff that have domains and ranges that are numbers. Preferably real numbers. Complex-valued numbers if we must. If we look at more exotic sets they’re ones that stick close to being numbers: vectors made up of an ordered set of numbers. Matrices of numbers. Functions that are themselves about numbers. Maybe we’ll get to something exotic like a rotation, but then what is a rotation but spinning something a certain number of degrees? There are a bunch of unavoidably common domains and ranges. Fine, then. I’ll stick to functions with ranges that look enough like regular old numbers. By “enough” I mean they have a zero. That is, something that works like zero does. You know, add it to something else and that something else isn’t changed. That’s all I need. A natural thing to wonder about a function — hold on. “Natural” is the wrong word. Something we learn to wonder about in functions, in pre-algebra class where they’re all polynomials, is where the zeroes are. They’re generally not at zero. Why would we say “zeroes” to mean “zero”? That could let non-mathematicians think they knew what we were on about. By the “zeroes” we mean the things in the domain that get matched to the zero in the range. It might be zero; no reason it couldn’t, until we know what the function’s rule is. Just we can’t count on that. A polynomial we know has … well, it might have zero zeroes. Might have no zeroes. It might have one, or two, or so on. If it’s an n-th degree polynomial it can have up to n zeroes. And if it’s not a polynomial? Well, then it could have any conceivable number of zeroes and nobody is going to give you a nice little formula to say where they all are. It’s not that we’re being mean. It’s just that there isn’t a nice little formula that works for all possibilities. There aren’t even nice little formulas that work for all polynomials. You have to find zeroes by thinking about the problem. Sorry. But! Suppose you have a collection of all the zeroes for your function. That’s all the points in the domain that match with zero in the range. Then we have a new name for the thing you have. And that’s the kernel of your function. It’s the biggest subset in the domain with an image that’s just the zero in the range. So we have a name for the zeroes that isn’t just “the zeroes”. What does this get us? If we don’t know anything about the kind of function we have, not much. If the function belongs to some common kinds of functions, though, it tells us stuff. For example. Suppose the function has domain and range that are vectors. 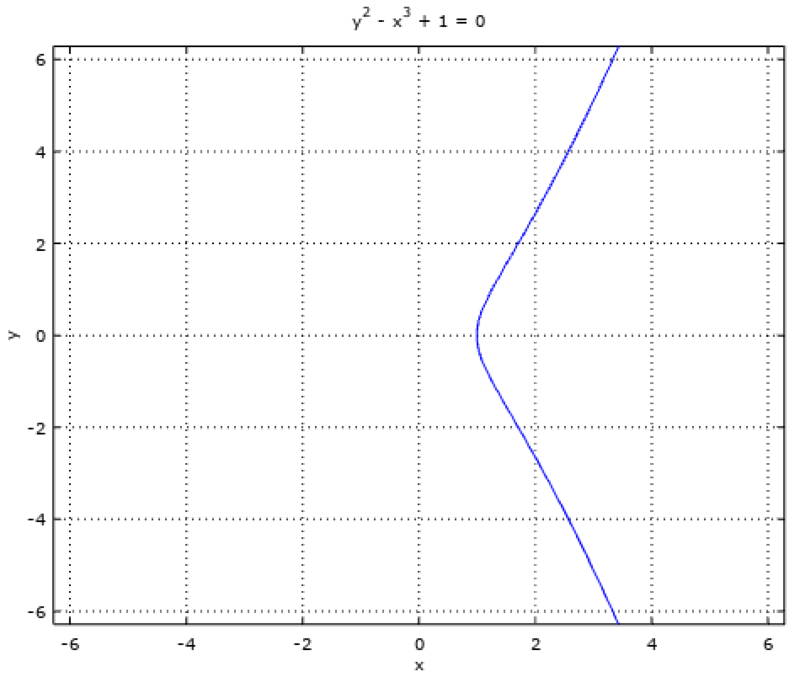 And that the function is linear, which is to say, easy to deal with. Let me call the function ‘f’. And let me pick out two things in the domain. I’ll call them ‘x’ and ‘y’ because I’m writing this after Thanksgiving dinner and can’t work up a cleverer name for anything. If f is linear then f(x + y) is the same thing as f(x) + f(y). And now something magic happens. If x and y are both in the kernel, then x + y has to be in the kernel too. Think about it. Meanwhile, if x is in the kernel but y isn’t, then f(x + y) is f(y). Again think about it. What we can see is that the domain fractures into two directions. One of them, the direction of the kernel, is invisible to the function. You can move however much you like in that direction and f can’t see it. The other direction, perpendicular (“orthogonal”, we say in the trade) to the kernel, is visible. Everything that might change changes in that direction. This idea threads through vector spaces, and we study a lot of things that turn out to look like vector spaces. It keeps surprising us by letting us solve problems, or find the best-possible approximate solutions. This kernel gives us room to match some fiddly conditions without breaking the real solution. The size of the null space alone can tell us whether some problems are solvable, or whether they’ll have infinitely large sets of solutions. In this vector-space construct the kernel often takes on another name, the “null space”. This means the same thing. But it reminds us that superhero comics writers miss out on many excellent pieces of terminology by not taking advanced courses in mathematics. Kernels also appear in group theory, whenever we get into rings. We’re always working with rings. They’re nearly as unavoidable as vector spaces. You know how you can divide the whole numbers into odd and even? And you can do some neat tricks with that for some problems? You can do that with every ring, using the kernel as a dividing point. This gives us information about how the ring is shaped, and what other structures might look like the ring. This often lets us turn proofs that might be hard into a collection of proofs on individual cases that are, at least, doable. Tricks about odd and even numbers become, in trained hands, subtle proofs of surprising results. We see vector spaces and rings all over the place in mathematics. Some of that’s selection bias. Vector spaces capture a lot of what’s important about geometry. Rings capture a lot of what’s important about arithmetic. We have understandings of geometry and arithmetic that transcend even our species. Raccoons understand space. Crows understand number. When we look to do mathematics we look for patterns we understand, and these are major patterns we understand. And there are kernels that matter to each of them. Some mathematical ideas inspire metaphors to me. Kernels are one. Kernels feel to me like the process of holding a polarized lens up to a crystal. This lets one see how the crystal is put together. I realize writing this down that my metaphor is unclear: is the kernel the lens or the structure seen in the crystal? I suppose the function has to be the lens, with the kernel the crystallization planes made clear under it. It’s curious I had enjoyed this feeling about kernels and functions for so long without making it precise. Feelings about mathematical structures can be like that. Here in the United States schools are just lurching back into the mode where they have students come in and do stuff all day. Perhaps this is why it was a routine week. Comic Strip Master Command wants to save up a bunch of story problems for us. But here’s what the last seven days sent into my attention. Jeff Harris’s Shortcuts educational feature for the 21st is about algebra. It’s got a fair enough blend of historical trivia and definitions and examples and jokes. I don’t remember running across the “number cruncher” joke before. Mark Anderson’s Andertoons for the 23rd is your typical student-in-lecture joke. But I do sympathize with students not understanding when a symbol gets used for different meanings. It throws everyone. But sometimes the things important to note clearly in one section are different from the needs in another section. No amount of warning will clear things up for everybody, but we try anyway. Tom Thaves’s Frank and Ernest for the 23rd tells a joke about collapsing wave functions, which is why you never see this comic in a newspaper but always see it on a physics teacher’s door. This is properly physics, specifically quantum mechanics. But it has mathematical import. The most practical model of quantum mechanics describes what state a system is in by something called a wave function. And we can turn this wave function into a probability distribution, which describes how likely the system is to be in each of its possible states. “Collapsing” the wave function is a somewhat mysterious and controversial practice. It comes about because if we know nothing about a system then it may have one of many possible values. If we observe, say, the position of something though, then we have one possible value. The wave functions before and after the observation are different. We call it collapsing, reflecting how a universe of possibilities collapsed into a mere fact. But it’s hard to find an explanation for what that is that’s philosophically and physically satisfying. This problem leads us to Schrödinger’s Cat, and to other challenges to our sense of how the world could make sense. So, if you want to make your mark here’s a good problem for you. It’s not going to be easy. John Allison’s Bad Machinery for the 24th tosses off a panel full of mathematics symbols as proof of hard thinking. In other routine references John Deering’s Strange Brew for the 26th is just some talk about how hard fractions are. While it’s outside the proper bounds of mathematics talk, Tom Toles’s Randolph Itch, 2 am for the 23rd is a delight. My favorite strip of this bunch. Should go on the syllabus.